Reuters reports that robots were maneuvered by two feminist groups—Rosa and Women on Waves—into the city’s streets to deliver the pills. 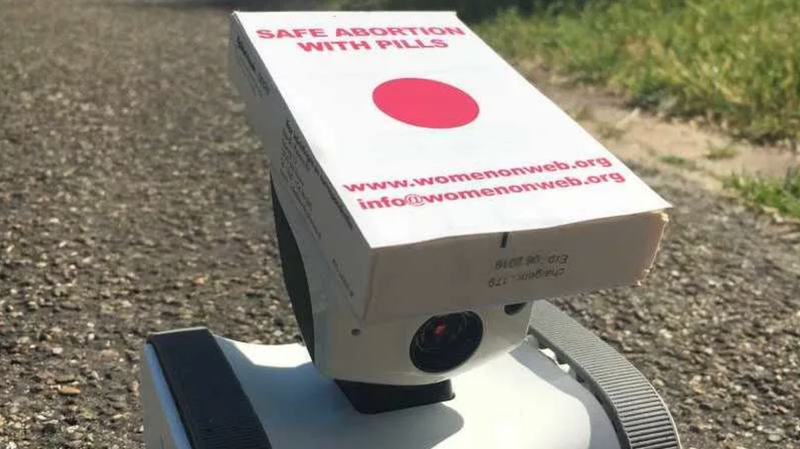 The robots were reportedly controlled remotely from the Netherlands, thus demonstrating an elaborate method by which pills could be delivered to women in Northern Ireland without breaking the law. Cops tried to remove one of the pill-taking women from the scene, according to the Irish Times, but their display of authority only resulted in a short stand-off before the police gave up and walked away. After an hour-long demonstration, the pro-choice activists got on a bus and headed to the offices of the anti-abortion Democratic Unionist party, where they continued to protest. Cops did apprehend the robots.